The on-again, off-again saga of the Madrid municipal government’s effort to change the Franco era names of 52 streets in the Spanish capital in line with the dictates of Spain’s 2007 Historical Memory Law may be nearing an end after a civil court hearing last week. 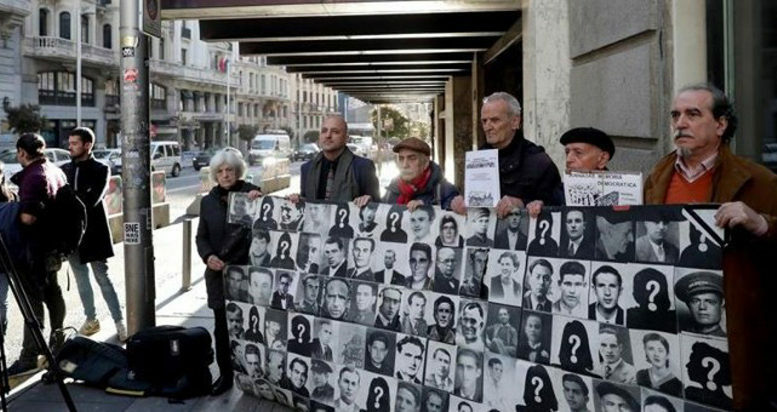 In November, the court agreed to hear a complaint filed in July by the Fundación Francisco Franco against the Madrid municipal council for its vote in May 2017 to replace the names of 52 streets and plazas honoring individuals, groups or events deemed heroic in the victory of nationalist forces led by Gen. Francisco Franco in Spain’s bloody 1936-39 Civil War or military figures and government officials during the 26-year Franco dictatorship that followed the war. The council’s directive to proceed to remove the old street signs and replace them with new ones was approved with the votes of representatives from the Socialist party (PSOE), Ciudadanos and the Podemos -backed Ahora Madrid coalition, while conservative Partido Popular (PP) council members abstained on the vote. In opposing the measure, the Franco foundation argues that because the names have remained in place for so many years there is no urgency to the matter and that despite a yearlong process of hearings and investigation by the city’s special Historical Memory commission, the decision to change the street names was taken precipitously. The court heard testimony last week from three expert witnesses in the city’s defense, including Francisca Saquillo, a distinguished former PSOE Senator appointed by Madrid Mayor Manuela Carmena to lead the Historical Memory commission. The witnesses outlined the lengthy process of narrowing the names of 300 public street and places names nominated down to just 52 finally selected. Under the terms of the Spain’s 2007 Historical Memory Law, local governments are required to remove in a timely manner any “coats of arms, insignias, plaques and other commemorative objects or mentions of personal or collective glorification of the military uprising, the Civil War and the repression of the Dictatorship”. The Franco foundation’s lawyers are challenging the proposed changes on a street-by-street basis, which is expected to cause the court case to drag on for a few more weeks. Should the foundation lose, it will forfeit to the city a 60,000 euro deposit required by the court, along with the city’s court costs and attorney fees, and nearly three years after the Ahora Madrid coalition triumphed in May 2015 municipal elections the process of removing the Franco-era street signs will proceed.